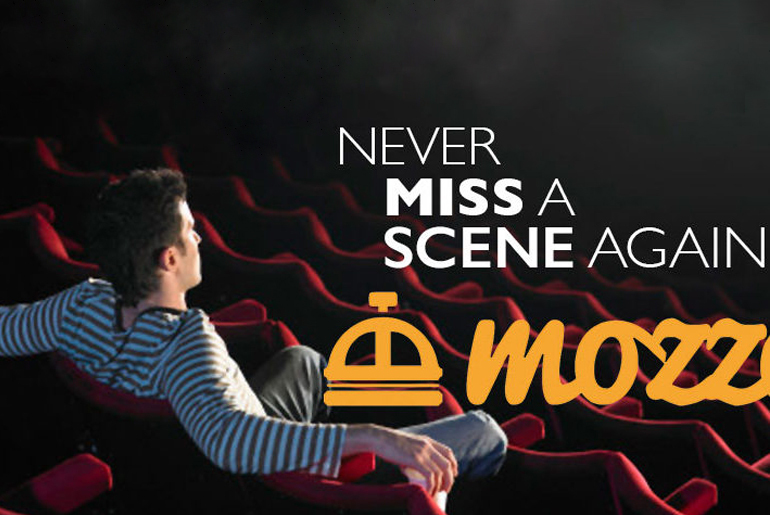 Mozzo - Watch your movie instead of waiting in the queue for popcorn. We all have encountered a situation where we went to watch our favorite movie in theatre and ended up missing couple of scenes after intermission because we were waiting in queue to get our popcorns and coke. You may never have to encounter such situations in future. Mozzo enables customers to skip queues and place orders easily in movie theatres, food courts and at any other crowded retail location. Mozzo is the brainchild of Pranav and Aviral. Pranav is Founder & CEO – 2014 DCE graduate and comes with an experience of 2 years as Business Consulting at EY; Aviral is CTO & Co-founder – he has won multiple global coding competitions (Google – Code in 2010) and has also developed MVPs for various tech and service-based startups while freelancing in past. The most interesting thing about Mozzo is that, you don’t need to download/install the app to use their service. All you need to do is, switch on your phone’s Bluetooth, connect Mozzo and get the menu on your phone. Make your orders, get food at your seat. Easy Peasy! Mozzo have a separate app for Food Courts to manage the orders made by the users. They have also installed a Bluetooth powered printer which prints out the orders made by the users, making the life of food courts owners simple. That’s how Salman Khan inspired the birth of Mozzo. The Beta version of the app is launched on December 2015 and the app went live on July 2016. Pranav came up with the idea in October 2015 while working for EY. He then met Aviral, they teamed up and started working to build a prototype of the idea. They did a survey to identify the market for such product and found out that most potential users want to use such an app in Multiplexes. They launched the beta version in MovieTime Noida on 13th December 2015, and iterated the app based on feedbacks which they received from the users. By the end of two months, they had increased the F&B sales by ~15% at MovieTime. As they had only one tech guy and an intern, it took them approx. three months to develop the Web & Android app. Meanwhile, the business team closed PAN India rollout deal with Wave Cinemas & Movie Cinemas. They approached Wave and MovieTime Cinemas via LinkedIn and had to do several meeting with the stakeholders from various departments before closing the deal. Mozzo is currently being installed in all their Multiplexes Locations. They have also sold subscriptions of the app to 40 popular & crowded food joints in Delhi-NCR who are using Mozzo as a queue-busting/management software. Pranav shares his journey of challenges that he encountered while establishing Mozzo. Find the right co-founder – I was very lucky to find Aviral, our CTO. He joined Mozzo because he loves to build tech products and he saw the extensive potential applications that can be constructed upon our basic idea. I also made the most common mistake of starting up with a very good friend who although was excited by the idea but finally could not take the risk of quitting and starting up, we went through a messy divorce to fix this. Finding our first customers – When we started out we came across many startups trying to build similar products. These companies had approached our potential customers and failed to implement the application. Thus getting Multiplex chains to trust us was very challenge. We overcame this through demonstrating our POC app to our prospective clients. Figuring out Product Strategy – I guess all founder figures this out by trial and error method, and that was our approach too. We also take regular feedback from users to define app’s functionality. Hiring Team members – This was the toughest challenge because finding the right person for bootstrapping company is difficult. We figured out that we don’t need high profile people, so we did internship drives via InternShala and collaborated with engineering colleges. Finally, after going through 100s of candidates, we have found remarkable Interns for Dev, content and design. Most of them have chosen to continue working with us after the end of their summer break. Mozzo doesn’t charge users for using their services. The revenue model of Mozzo is, It charges one-time installation fee to set up their system in food courts; Monthly subscriptions to use their service; and Push notifications ads to the users from 3rd party players. They are Bootstrapping currently, and are looking forward to raise- $100,000 in the next two months. The funds raised will be utilized for Product Development, Partner Onboarding & Customer Acquisition. They are competing with players like SmartQ, Hate2Wait, Sminq etc. The main advantage Mozzo has over its competitor is its “No App Model”.